Eskom and BHP Billiton have agreed to amend their pricing agreements for power supplies to BHP smelters, Eskom said. «This is a significant milestone that results in a new pricing path which will not be linked to commodity pricing and foreign currency,» Eskom said on Monday, after Business Day reported this morning that the controversial long-term agreements for power supply would be altered. It said the deal would affect the Mozal smelter in Mozambique and Hillside and Bayside smelters in South Africa. Business Day reported earlier today that ESKOM and BHP Billiton would amend their controversial long- term agreements for the supply of power to BHP Billiton’s Mozal smelter in Mozambique and its Hillside and Bayside smelters in SA, Eskom said yesterday. Eskom and BHP Billiton have been renegotiating the contracts as part of Eskom’s review of the contracts it entered into when SA had surplus power. Eskom says the contracts were intended to stimulate economic development in SA and southern Africa. Faced with a shortage of funds for its R385bn capital programme and constrained power supply, Eskom has been taking a second look at long-term contracts. The review last year resulted in scrapping of plans for an aluminium smelter at Coega after Eskom and Rio Tinto Alcan terminated a power supply agreement for the smelter. The renegotiation of the BHP Billiton contract will see Eskom move away from commodity and foreign currency-linked pricing practices that proved costly for Eskom in the past financial year. These contracts were an albatross around Eskom’s neck. with the aluminium smelter power supply agreements. In terms of the contracts, BHP Billiton paid less for electricity when the aluminium price fell. So the sharp fall in the price of aluminium in the past financial year was a big contributor to the loss. Who started the campaign against these ridiculous Alusaf power supply contracts? But this is a sweet victory. Until we know thew new price being paid. I want to start by making a few observations before asking a few questions. First of all, Eskom and the SA Government have been lauding themselves for the past number of years for rolling out electrification. But when it was known since the mid-1990s that the country was running out of supply capacity, why did this simply happen without the general public being very clearly warned in this regard? Since the mid-1990s huge projects such as Alusaf I and II aluminium smelters at Richard's Bay have come online and which consume massive amounts of electrical power, indeed cheaper power; why did this happen without the general public being very clearly warned of the implications of this? In 2000 Eskom again warned the SA Government that more power generation capability was required, yet there was an all-out pitch to attract another giant aluminium smelter at Coega, first with French-company Pechiny and then Canadian Alcan. This came about as a result of the Arms Deal NIP fiasco after the Germ company Ferrostaal default on its promised stainless steel facility and the Government was desperate to secure an anchor tenant and the white elephant which will be Coega if this country is going to be short of power for the next eight years. How is it possible for Eskom to sell massive amounts of cheap power to special industrial projects which may make a few billion Rand profit per year (much of which gets repatriated to the foreign owners) when the rest of the longtime and loyal consumers in this country pay normal rates and in aggregate lose a few billion Rand per day in lost business due to loadshedding? In the late 1980s or early 1990s this country had a substantial excess of power generation capability and therefore about a dozen or so smaller power stations were mothballed. What exactly happened to these mothballed power stations - each and everyone of them. Why have these mothballed power stations not already been re-commissioned to alleviate this critical power shortage which we are told is going to endure for another six to eight years; this specially after the Koeberg debacle in 2006? Have any of Eskom's older and/or smaller power stations been sold as working units to the Chinese or Indians or Russians or Americans or anyone else? This country's citizens already spend many billions of Rands in providing safety and security for themselves when they already pay billions for SAPS to do exactly that, but fail dismally. Why must this country's citizens now spend billions of Rands in providing their own power generation capability in respect of diesel and petrol generators when they already pay billions for Eskom to provide dependable power, but now with loadshedding fail dismally? Why did Eskom shed a large number of white technicians, engineers and managers during the last decade when it now requires 1 000 technicians and engineers? What proportion of Eskom's power generation and maintenance problems are derived from "transformation" of its workforce? Can Eskom afford "transformation" when it faces the immediate challenges of reversing the current power shortfall and loadshedding debacle as well as rolling out R300 billion worth of coal power stations over the next 6 years and R720 billion of nuclear power stations over the next 20 to 30 years? Eskom has been implementing "transformation" by means of affirmative action for some eighteen years; considering the current status of things, is it appropriate and is it necessary to continue with this? Can Eskom absolutely guarantee that its acquisition processes in respect of every capital acquisition of value greater than R10 million is in accordance with a system which is fair, equitable, transparent, competitive and cost-effective? Can Eskom absolutely guarantee that in any of its acquisition of value greater than R1 million due the past 10 years and during the next 6 years that these have not in any way personally benefitted any members of the SA Government, the ruling political party or members of Eskom staff? What is the financial value of the indigenous component of the R300 billion worth of coal power stations to be built over the next 6 years and the R720 billion of nuclear power stations to be built over the next 20 to 30 years? What is the technical value of the indigenous component of the R300 billion worth of coal power stations to be built over the next 6 years and the R720 billion of nuclear power stations to be built over the next 20 to 30 years? May I deduct my monthly diesel expenses from my monthly Eskom electricity bill for running my generator during Eskom loadshedding? When can I expect answers to my questions? These are the people to blame for plunging South Africa into darkness. President Thabo Mbeki, Deputy President Phumzile Mlambo-Ngcuka, Public Enterprises Minister Alec Erwin and former Eskom chief executive Thulani Gcabashe and his successor, Jacob Maroga, ignored the signs of impending disaster for 10 years. Not only did the government refuse to invest in new power stations in 1998, but ministers went into denial whenever they were warned. While Mbeki and his ministers have finally apologised, not a single official has been fired or has resigned over this “national emergency”. South Africa is suffering its biggest economic catastrophe so far as mining companies De Beers, Impala Platinum, Anglo Platinum, Lonmin, Northam and DRDGold shut down all or part of their operations on Friday ­ some confirming losses of up to R60-million a day. Mlambo-Ngcuka apologised for the blackouts on Thursday night, but added that we “have to suffer this pain”. Maroga was appointed only in May last year but had been with Eskom since 1995. He probably knew of the parastatal’s earlier warning to the government that 2007 would be crunch time. He has also failed to inform the public clearly of why and how the energy crisis will affect their suburbs and industries. According to the White Paper on the Energy Policy of SA, approved by the Cabinet in 1998, Eskom warned that its surplus capacity would be fully used by 2007 *1. The paper, signed by Penuell Maduna, who was then the Minerals and Energy Minister, advised ensuring that “the electricity needs of the next decade are met”. But Maduna was replaced by Mlambo-Ngcuka ­ who insisted there was no looming crisis. In 2003 she went as far as saying she had been assured by Gcabashe that South Africa would never run out of power. Gcabashe stepped down in April last year but remains on Eskom’s payroll at the request of the board on an 18-month contract to help in its capacity- expansion programme. Shortly after the series of power failures in the Western Cape in 2005, Erwin assured Parliament that there was “no national energy crisis”. In 2006 Erwin blamed “sabotage” for a crisis that hit Cape Town’s Koeberg nuclear power station. Friday’s shutdown sowed panic in international markets, sending mining shares plummeting. The story is receiving coverage internationally. Richemont chairman Johann Rupert said it was South Africa’s biggest crisis so far ­ the “final straw”. “Can you imagine the impact if you start shutting mines?” he said. The mining industry, which uses 15% of Eskom’s capacity, accounts for 7% of the economy, more than 30% of exports and more than 25% of foreign exchange earnings. Other industries and sectors are on high alert. Sasol announced it would reduce electricity us e “by a meaningful amount” but warned it would affect production. The power cuts have also disrupted 2010 stadium construction , with companies splurging millions on generators. Grinaker-LTA Building area director Leon Petrie warned there would be a “huge problem” at the stadium in Port Elizabeth , while Piet van Heerden, project manager in Polokwane, said things were “quite bad”. Gauteng’s Soccer City is on track but Mike Moody, project manager for Grinaker-LTA Building, said he was worried about the knock-on effect that power failures could have on cement, steel and aluminium. Chamber of Commerce and Industry economist Bill Lacey said the power crisis could have “a drastic effect on our economic performance this year”. Business Unity South Africa chief executive Jerry Vilakazi said there was “a huge risk of jobs being lost as many companies are working 50% of the time”. In a direct threat to economic growth, Eskom is evaluating its response to new customers, new projects and expansions. The Police and Prisons Civil Rights Union’s general secretary, Abbey Witbooi, said black- outs were affecting police response times and crippling prison and traffic department computer systems. Eskom has been cagey about the extent of its problems. Spokesman Carin de Villiers said one of Koeberg’s two generating units would be offline for scheduled maintenance until May. The second unit, which was offline for refuelling late last year, would be fully functional soon. Eskom has 26 power stations with about five generating units each. The number of generating units down for maintenance account for 3658MW and those down for “other reasons” account for about 5000MW. The SA Human Rights Commission said reports that the parastatal had not properly briefed emergency services, police stations and hospitals on the crisis was cause for concern. Fifa general secretary Jérôme Valcke said on Friday that a technical team and a soccer stadium consultant were closely monitoring the situation. Sandton’s upmarket Michelangelo hotel general manager Hans Prenner said the power cuts have been “a nightmare for an hotelier”. Prenner said a number of guests had checked out early while others are complaining or asking for discounted rates as the hotel is not supplying the service they expect. An additional problem is that management time is being spent fighting fires rather than managing the hotel. “This is bad for our image and that of the country”, Prenner said. Michelangelo is now planning to get in a second generator. Vehicle manufacturing, the country’s second-biggest industry, has yet to encounter powercuts. Toyota SA, which announced two weeks ago that it aims to increase production at its assembly plant in Durban by 41% to 205 000 units this year, has not been affected by the rolling powercuts. More than half of the assembled vehicles are destined for the export market. Spokesman Andile Dlamini yesterday said the company had not yet been affected by power cuts, as it had an arrangement with Eskom and the Durban municipality not to cut its electricity at the plant. which has recently undergone a R2.4-billion expansion. Volkswagen SA, which managed to reduce its electrical demand by about 2MW ­ the equivalent to saving of energy consumption of 400 houses with all appliances running ­ is among the car manufacturers that have not been affected. 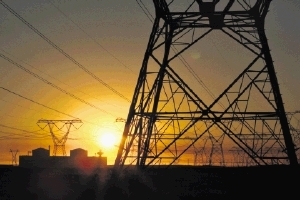 VWSA spokesman Bill Stephens said the Nelson Mandela Metro had been working around the clock to manage its grid and ensure that major industries were not affected. in November 2006 signed the contract with Alcan for the 1 355 MW smelter at Coega. This is fully in the face of years' worth of dire warnings of upcoming power shortages. This is negligence and reckless of a genuine criminal nature.